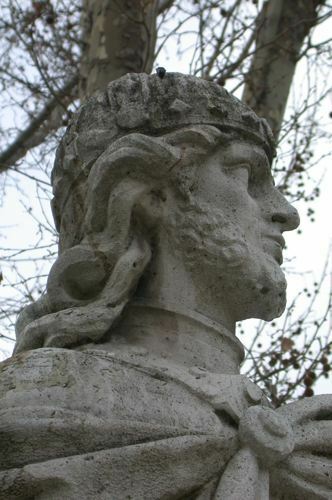 Liuvigild, also known as Leovigild, was King of Septimania and Hispania from 568 to 586, and also King of Galicia for the latter part of his reign. So why is this guy important? For a number of reasons. This man took a dispirate, fractured land of people fighting for their borders and indeed against themselves and united them. He established whole cities at a time when almost no new urban centers were being founded. But I should start at the beginning. First, a little history. 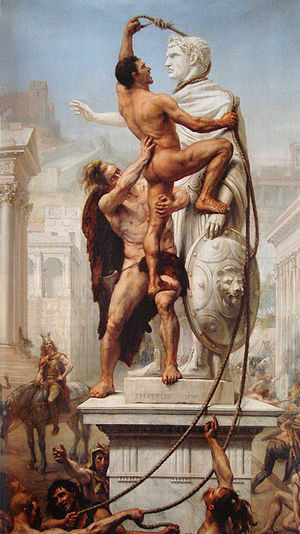 After the (arguably second) sacking of Rome by the Visigoths around 410, things were falling apart for the Roman Empire. 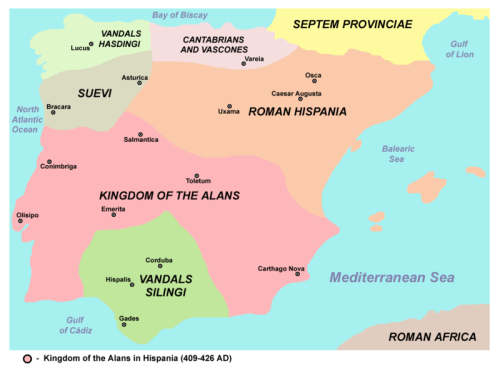 They were losing control of their Western territories, and several groups such as the Sueve, Vandals, and Alani had started moving across the Pyrenees and onto the Iberian peninsula. 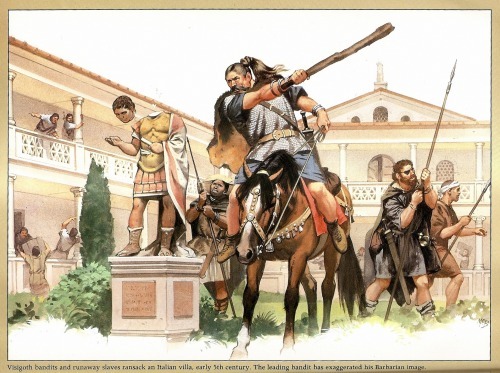 Though they felt the Visigoths to be barbarians, that didn’t really stop Rome from making treaties with them, so they contracted the Visigoths to head over to Hispania and help get things back in line around 416. 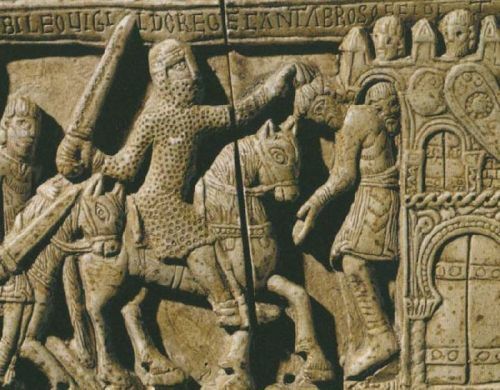 ^Visigoths aren’t playing around. When they decide to sack, they really sack. However, as evidenced by the aforementioned sacking, the Roman’s control over the Visigoths was tenuous at best. Though they recalled the Visigothic troops in 418, Rome had little control over whether or not the Visigoths actually followed the order. Our Visigothic friends had been having problems with their northern Frankish neighbors, and after a series of brutal defeats by the Frankish King Clovis, and the death of their king, Alaric, they moved south over the mountains and into what would become modern day Spain. This wasn’t an easy task, though. As you can see, there were a lot of different groups who had settled across the peninsula. The Visigoths had to fight their way through most of it in order to carve out a place for themselves. But if there was one thing the Visigoths were good at, it was fighting. So they did manage to settle, despite opposition. Still, between the vestiges of the Hispano-Roman empire, the ever present thorn in their side that was the Vascones (Basques), and border issues with the Sueve, it was not a peaceful time. 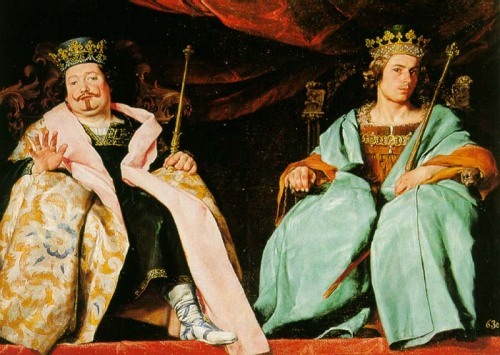 The thing about Visigothic heirarchy is that it was an elective monarchy, meaning the people chose their King to essentially be their war leader, but also in theory to best represent their interests and their principles. But we know how that plays out in reality; principles clash, power corrupts, or people are just never happy with their ruler. But, when your people solve their problems by whacking people’s heads off with homemade clubs, it’s a health hazard to be their king. 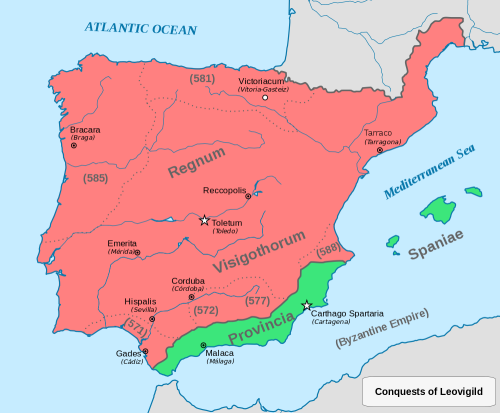 Between 507 and 711ce there were twenty six Visigothic kings, a huge number given the mere 200 years of rule. Of these, five were assassinated, two died under “mysterious circumstances”, and one was overthrown. The rest were plagued by constant rebellion. So how could a culture even hope to quell the problems on all their borders when they couldn’t even sort out their own? ^Please, no more, we’re so tired of being assassinated. By the time he died in 586, Leo had conquered pretty much everything save a few Byzantine outposts and the ever entrenched Basques in the Pyrenees. ^Knock knock, who’s there, now you belong to Leovigild. Why was all this conquering important? Well, aside from being incredible, considering all the religious, political, and principle division within his own force, it allowed Leovigild to take actual legal steps towards unity. Until this point in time, the Visigoths had not truly considered themselves independent of Rome, but more its allies (despite all that sacking). They were still using Roman symbols and coinage. Leovigild, feeling that a national and imperial identity was important, introduced symbols of his own; robes, crowns, coins, thrones, etc, and even founded his own cities, building them from the ground up. Of course, these symbols were still Roman and Byzantine inspired, and nowhere near as good of make as what said counterparts produced. ^Rather misshapen, but it was a start. However, the most important (and lasting) was the Codex Revisus, which was a unifying codex that revoked laws against intermarriage with Hispano-Romans as well as promoted the Arian faith as the only faith, via the law code. The laws were much more structured and pulled many different previous codes together. Though Leo’s code itself did not survive, it was a significant influence on King Reccasunith’s Liber Ludiciorum, a code established 80 years later that would become the basis for the Spanish Christian law codes established in the Middle Ages, and still survive today. So, in short, in a time where unity was a precious luxury, Leovigild created stability. Though his efforts may have been insufficient for the empire to last long, it did for 130 years after his passing, and his legacy, both physical in the form of ruins at Reccopolis, and ideological, still stand even now. Many thanks to Wikipedia Commons and Getty Images, as well as Spain Then and Now for the images.